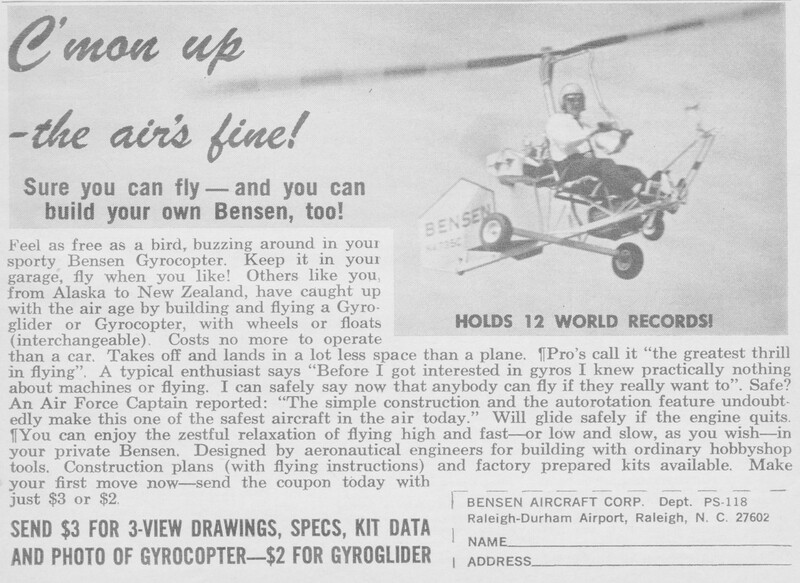 Founded by Dr. Igor B. Bensen, formerly chief research engineer of the Kaman Corporation, to develop a series of lightweight autogyros. Examples built and supplied to USAF for research purposes, but marketed primarily in kit form for amateur construction. Also attempted to develop Cargolifter as multi-helicopter lifting platform, with eight-rotor sub-scale prototype flown in early 1980s.